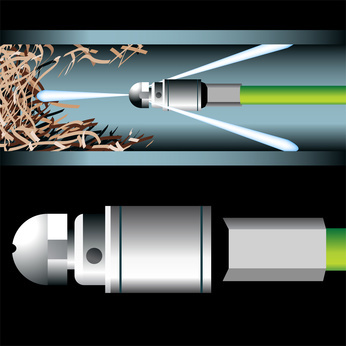 Water Jetting a 1″ to 36″ line | Drain King Inc.
Water jetting can be used on sewer lines, septic lines, storm drains, drain fields, and pretty much any line that may be blocked. This is also very useful for restaurants and grease traps. Jetting will cut through grease, roots, and sand and provide a good flow. Jetting helps keep the lines clean and extends the life of the pipes by preventing buildup, which causes corrosion and breaks. This system also helps property owners avoid the need to have lines excavated and pumped out or replaced due to breakage. With water jetting, a Drain King technicians will use a state-of-the-art camera to examine the inside of your pipes and identify what blockages may be occurring and where. The camera can feed up to 1000′ in a 1″ to 36″ line. 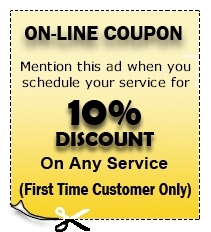 This technology allows our technicians to show you what the problem is and explain what needs to be done to fix it.